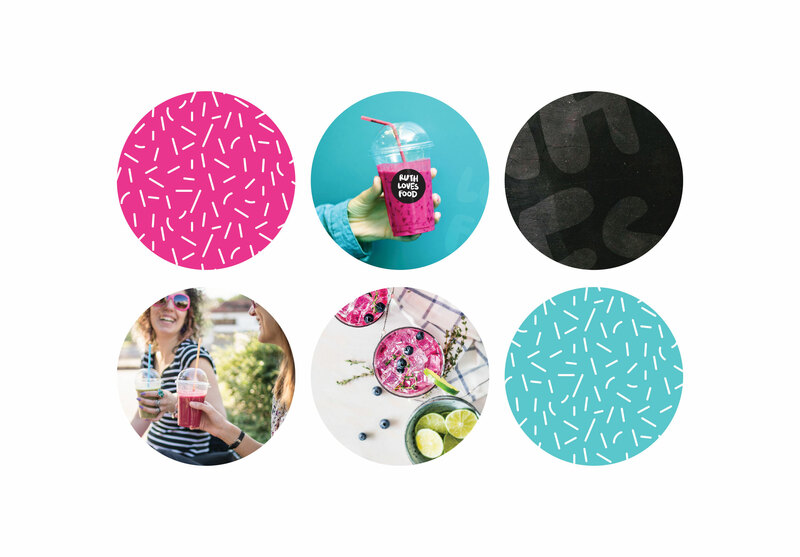 I think it’s safe to say that this brand identity is anything but bland – and that’s just bloody perfect, because it’s just as outgoing and bubbly as the woman behind the brand! A playful and bold font creates a striking base for this vibrant brand, and the brand colours really make it stand out. 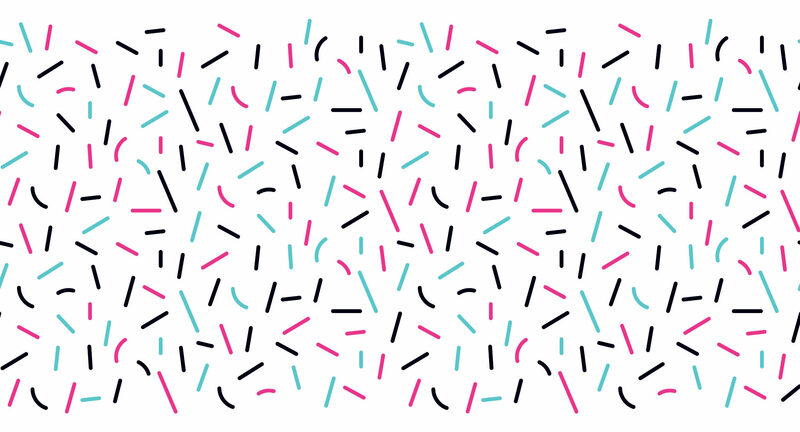 A dynamic surface pattern completes the look. 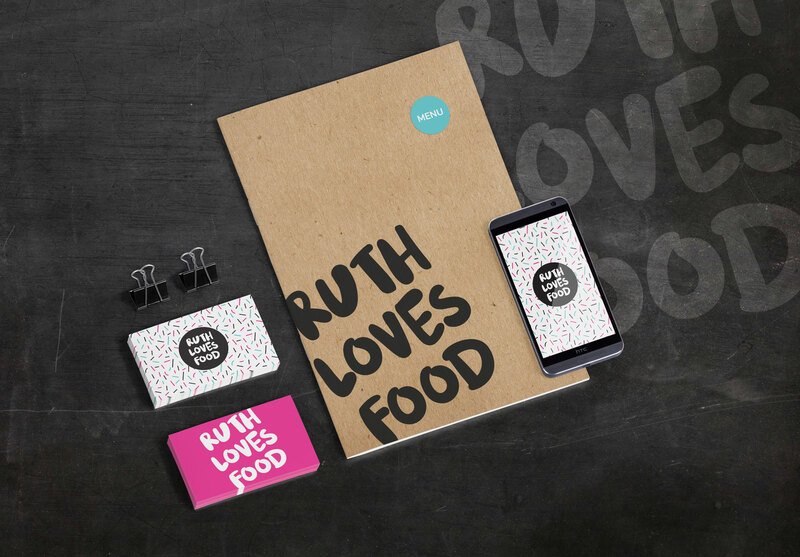 Ruth is a self-confessed foodie from “down under” – who followed love, and ended up on the windy northwestern coast of Norway. 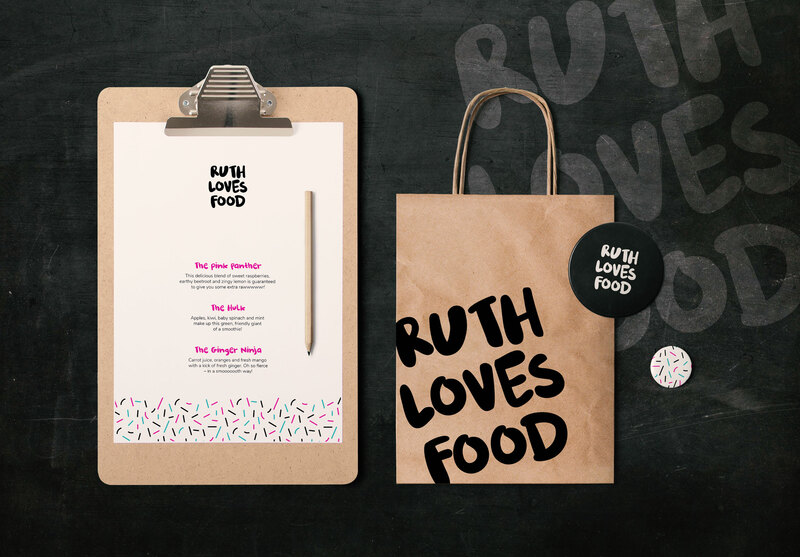 Her passion for food is the basis of her new concept Ruthlovesfood, and I can’t wait for her to launch – watch this space! Petchy really captured the spirit of ruthlovesfood with the creative and playful design of my new logo and visual identity. I just love it! There was no doubt in my mind that Petchy would be the best company to help develop my vision, for what will be the most exciting chapter of my professional life. Thank you so much for your dedication, professionalism, sense of humour and being an overall fantastic human being!